Hi' friends today we come up with the Intex USB Drivers here our Web Page. It is free to download from at the bottom of the article for its official download link.If you have a Intex Smartphone' and you want to connect your mobile phone with your computer operating system? The MTP driver protocol of the windows help the third party device to communicate, this driver does not work for all devices.In case of Intex device it surly doesn't work. In this situation so, you need to get the proper USB Driver for it.The USB Drivers will help you to your USB hardware to communicate with your system better then before.Here we can update the Intex USB Drivers free and it is free to download from the given download link below the article. What is Intex USB Drivers? 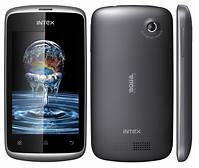 The Intex USB Drivers are one of the best and amazing driver which allows you to connect your Intex Smartphone to the computer without the need of any software.The Intex USB Drivers allows you to flash Intex Stock Firmware on your Intex Device using the preloader drivers. How to install Intex USB Drivers? Here is the list of Intex USB Drivers for all models given below. Intex Aqua 3G USB Driver.